There’s nothing like the craft brewing world. Despite that ever-growing number of U.S. breweries – the most in history – it’s a tight knit community. While Sierra Nevada Brewing is a juggernaut of the brewing world, they remember their humble homebrewing roots and the mountains they’re named after. The nearly 40 year old brewery has raised millions of dollars with a beer. 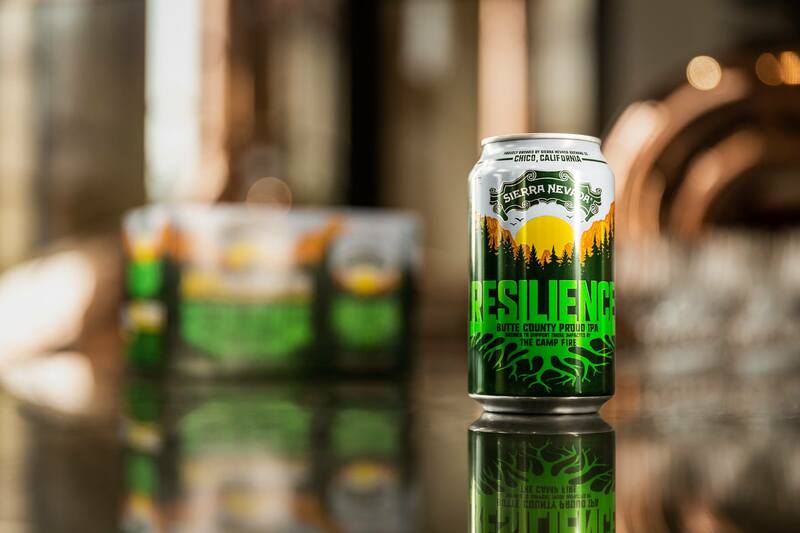 Resilience IPA isn’t your average beer. Every sip helps rebuild Butte County after the deadliest and most destructive wildfire in California history burned last November. 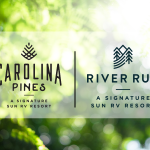 Founded in 1980, Sierra Nevada Brewing Company is not only considered a premier craft brewery in the United States but has always embodied the outdoor lifestyle. 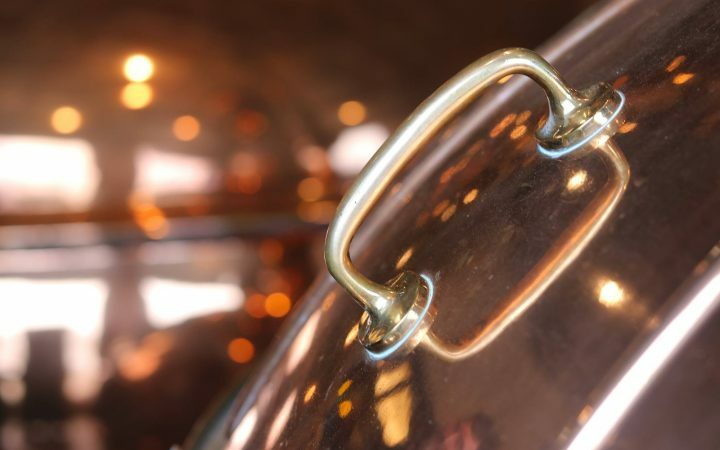 Click To Tweet Founders Ken Grossman and Paul Camusi turned their love of home-brewing into a brewery in Chico, California. Grossman took inspiration from his favorite hiking spot, the nearby Sierra Nevada mountain range. Their sustainability efforts are envied by many other breweries around the world. Most of their beers are offered in cans, which is great for camping and vacations on the road. And in 2014, it launched “Beer Camp Across America,” a traveling beer festival. Based in Chico, Sierra Nevada is located just west of Paradise. 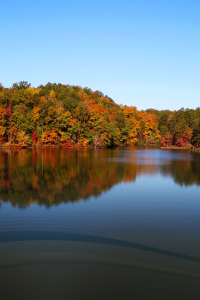 There are several RV campsites near the famous brewery. When the Camp Fire started in the hills above the Chico brewery on November 8, 2018, it soon became the deadliest and most destructive wildfire in California history. In addition to the 85 lives that the fire claimed, about 50 brewery employees lost their homes. The fire destroyed more than 18,000 structures in Butte County. 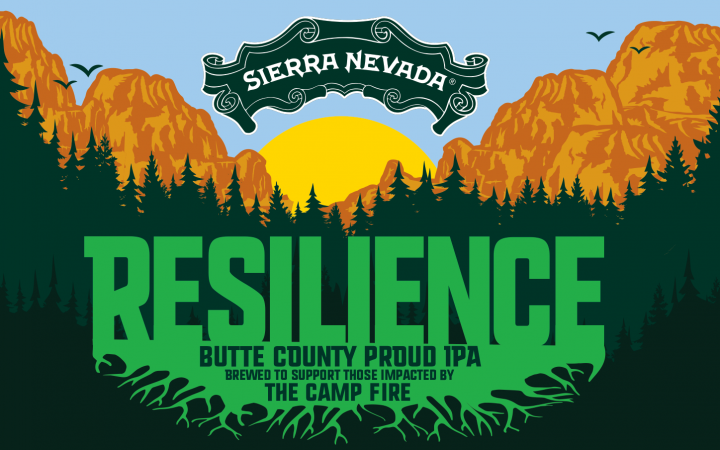 On November 16th, Ken Grossman and the Sierra Nevada brewing team announced plans to brew Resilience Butte County Proud IPA. But they didn’t stop there. They asked every brewery in the country to do it with them. Since craft beer tends to taste best near the source, it’s smart they asked brewers around the country to help with the effort. The largest “collaborative” beer in history took place on November 27th. They set up a Sierra Nevada Camp Fire Relief Fund, supported through the Golden Valley Bank Community Foundation. The brewery seeded this fund with an initial $100,000. More than 1,500 breweries signed up to brew Resilience. Their suppliers donated ingredients to every brewery nationwide. Wholesalers and retailers agreed to carry the beer and donate every dollar they received. 100% of the beer sales will go to Sierra Nevada’s Camp Fire Relief Fund. 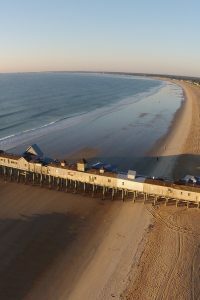 “The farmers chipped in, the maltsters chipped in, and actually, the Union Pacific Railroad shipped it for free as well,” said Grossman. Sierra Nevada worked with breweries around the country to provide posters, coasters, tap handles and raw ingredients donations. 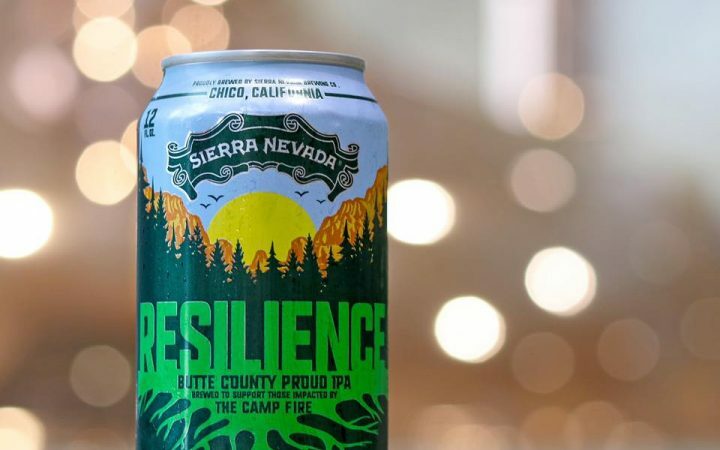 Schilling Beer Co., in Littleton, New Hampshire let Sierra Nevada use its Resilience beer trademark for the fundraising effort. 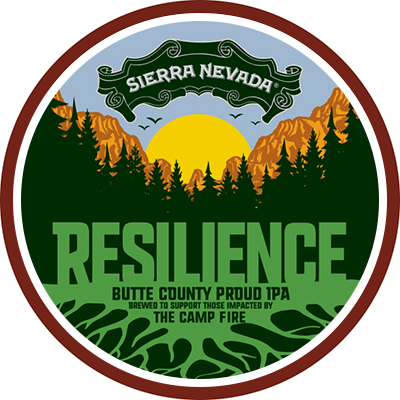 Packaged in cans by Sierra Nevada, and draught from amazing brewers across the country, 100% of the sales of this beer will be donated to the Camp Fire Relief Fund. 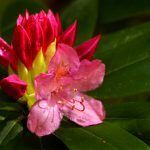 Sierra Nevada has an interactive map on its website that shows each brewery participating in the fundraiser. On Twitter and Instagram, find the conversations with the hashtags #ResilienceIPA and #ButteStrong. The brew app, Untappd, got involved and offered its users a limited-edition badge that can be earned by checking into any Resilience IPA from any brewery that is participating. I earned mine! 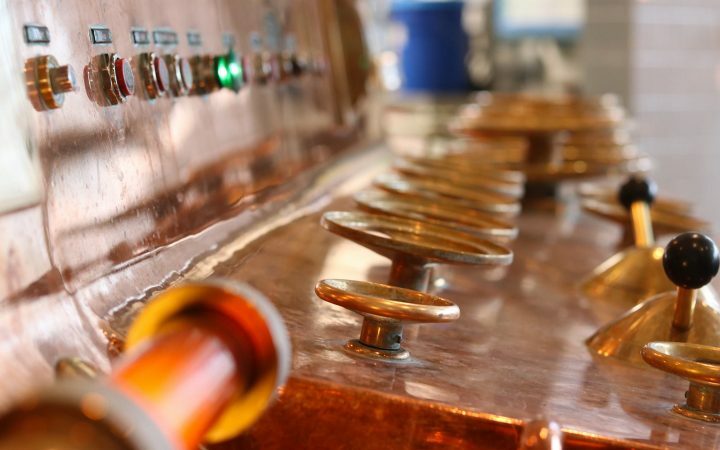 More than 17,000 barrels – or 4.2 million pints – were brewed. I’ve enjoyed one at Wren House Brewing in Phoenix, Arizona over the holidays and another at 26 Degrees Brewery in South Florida last week. Sierra Nevada has limited cans available in the area. But if you’d like to support the Northern California fire relief fund, visit the closest brewery that is offering the beer. The Bend Resilience Beer Fest took place on Saturday, January 5th, where 19 different breweries poured their own versions of Resilience IPA. The only sanctioned Resilience event in the country also gave 100% of the proceeds to the Camp Fire Relief Fund. Erin Peters is the offspring of a nuclear physicist & one of the founding fathers of phone-to-phone VoIP and a Mensa mother. She has over 20 years of marketing experience, having worked for Internet giants, biotech leaders and Fortune 500 companies. She also created digital media departments at two online advertising agencies. 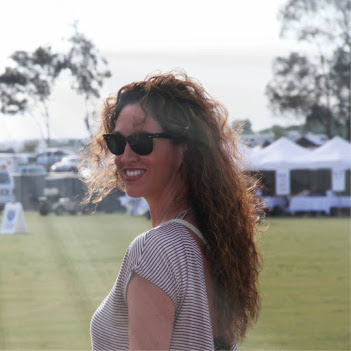 Erin is also a renowned beer writer and judge, that has been enticing beer drinkers for over a decade through her blog, The Beer Goddess.